Statement geometric cashmere jumper in blues and greys, knitted using heritage hand intarsia method. 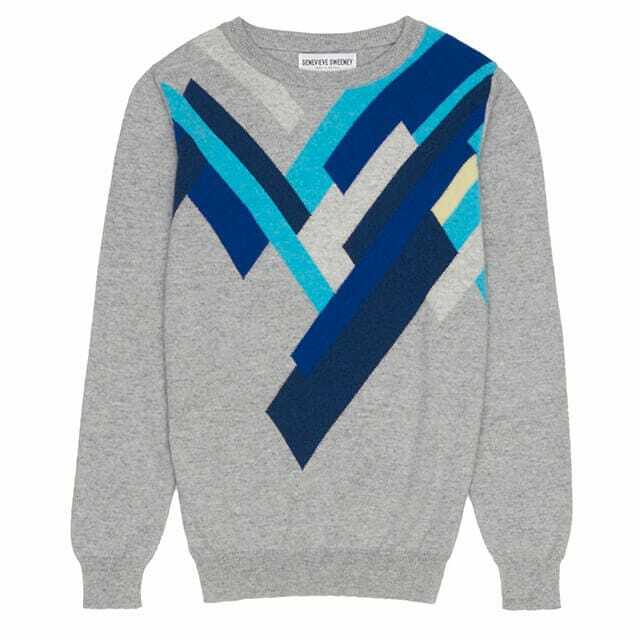 Genevieve Sweeney Hand Intarsia Cashmere Jumper with diagonal block pattern. Knitted in luxuriously soft 100% cashmere, made in Scotland using a highly skilled artisan knitting technique, knitted by hand. Pattern on front panel. This product is made to order with a typical 3-week lead-time.